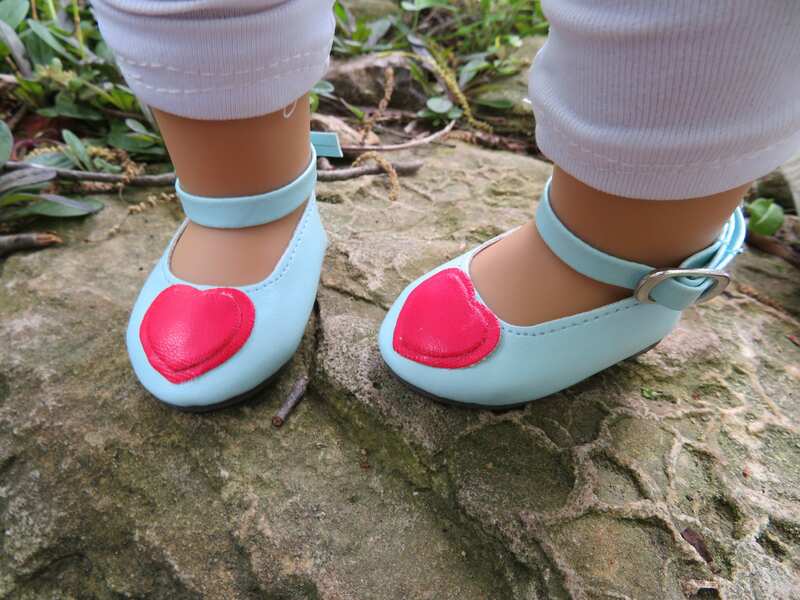 Cute Light Blue and Red Heart 18" Doll shoes, High quality. Fit American girl dolls. Straps are removable for two different looks! This little pair of shoes is just adorable. They are also well made and nicely designed. I think they are also sturdy enough to survive my granddaughter’s vigorous playing style. Thanks.